Not to brag, but Dreams Resorts & Spas have some of the best pools in the Mexico and the Dominican Republic. If you don’t believe me, see for yourself in our photo review of the pools of Dreams Resorts & Spas. Our first pool of the week is from Dreams Villamagna Nuevo Vallarta. Enjoy! 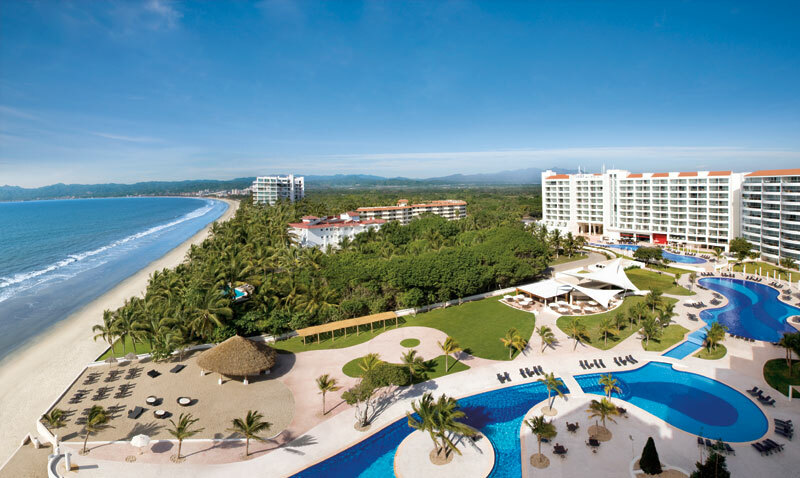 An aerial view of Dreams Villamagna Nuevo Vallarta featuring a dual temperate pool and ocean views. A couple is reflected against the sky in the resort's infinity pool.